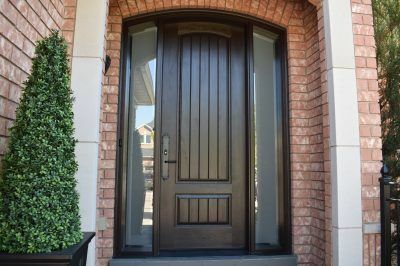 Front Doors - Home Decor Window & Door Centre Inc.
Grandeur and refined elegance ring true when you settle for one of our meticulously crafted fiberglass front doors. The enchanting customization will make your home stand out. Is my front door secure and energy efficient? Does it look like a furniture door and is it a conversation piece when visitors & guests show up? Is it time for a change and would the transformation add value to my home? Will I be selling in the next few years? 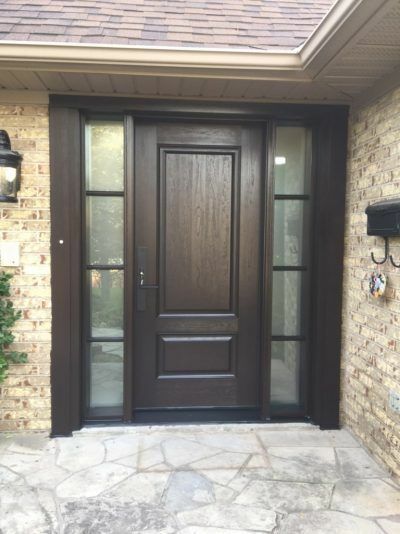 We are here to help understand the importance and benefits of replacing your door with our fiberglass door. Check out the doors in person in our showroom so you get a better sense of what the doors look like before you make the purchase. Pay attention to the durability of the door system. The door jamb is where most failures occur. Make sure you not only get a rot free one, but one that has good screw holding power and take up stain well. Ask us about ours and we’ll show you the difference between the one we used versus the other jambs available on the market. 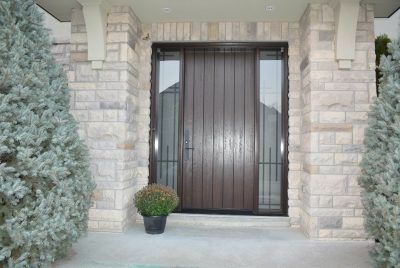 It helps to use us to build your door and to install it as well. You would want highly skilled installers to ensure a long lasting performance. Our fiberglass doors have really good insulation value and are highly energy efficient. Ask us about insulation when discussing options. Finally read the warranty terms so you are aware what’s covered before making your purchasing decision. Be wary when warranties seem too good. We offer a fair and honest warranty. Prices vary depending mainly on size of opening, door style and choice of glass and iron works. For accurate pricing, you can either email us pictures and measurements, visit us or invite us to your home for a free estimate. Cheaper prices aren’t always to your benefit. If you have been quoted cheaper for a front door please ask lots of questions so you understand what is contributing to the difference in price. It also helps tremendously to ask for a walk-through of the production facility. Most customers who make the time and effort to see first hand how the doors and their components are put together ultimately see ample justification in making their purchases. We always looking for ways to be more efficient so we can pass on the savings to our customers however our focus has always been about promoting and implementing quality craftsmanship. 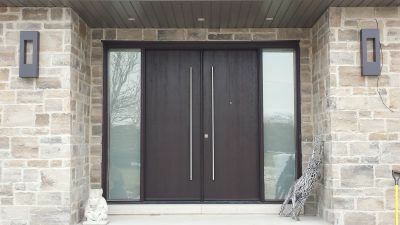 The reputation we have acquired over the years for our high quality fiberglass doors is too precious and we simply don’t compromise in any way or form. Open up to our furniture doors, get rid of your utility and commodity doors. Your home can be gorgeous but if your front door isn’t, it gives a bad impression. Our fiberglass doors are finished and stained like a piece of furniture. The difference is in the details. Visiting us and seeing what we do will clear your mind and put things in perspective. 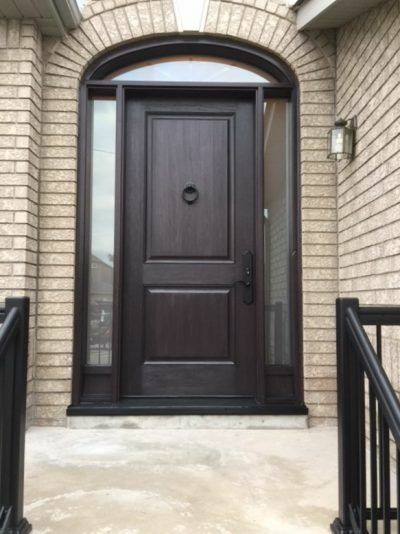 Invest in our stunning fiberglass front entry doors, see the benefits and high return. Don’t beat yourself up dealing with companies offering utility and commodity doors. Don’t settle for anything less than a furniture door. Our front doors are meticulously finished like a piece of furniture. Please fill in the form below and one of our team members will contact you to discuss your options. 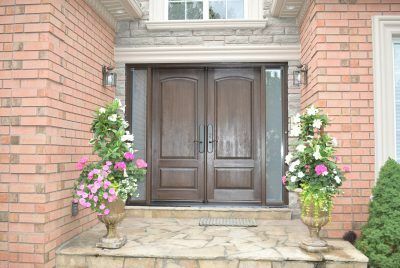 Home Decor Window & Door Centre Inc. is committed to respecting the privacy of individuals and recognizes a need for the appropriate management and protection of any personal information that you agree to provide to us. We will not share your information with any third party outside of our organization, other than as necessary to fulfill your request. © 2017 Home Decor Window & Door Centre Inc. All rights reserved.